As some of you may have noticed, we had some down time for a while today. One of our providers, Amazon S3, had an outage which was affecting a large portion of our content. Videos from the last few days weren't playing, and images weren't showing up most of the time. In order to minimize the problem we disabled uploads for a while. As of now, everything is back up and running smoothly and we are closely monitoring the situation. This is a very rare event, and most of the time would not affect Vimeo so adversely, but we're currently migrating content between providers so much of it was only available at Amazon. We apologize for the inconvenience this may have caused anyone, and we thank everyone for your patience. In order to appease the angry video Gods, we have ritually sacrificed a few of our finest goats. We are told by our sages that this should do the trick. So lets keep our fingers crossed. lol you guys scared me for a sec!!! See now the guys here at vimeo know that open communication with the customer is a very important thing. Something many companies do not seem to know. my smugmug was down too for the same problem, i hope it gets fixed soon! Weird, I always thought Amazon S3 would have system backups, especially due to the large number of companies that rely on their servers. Good to see everything back however. Mmh, my just uploaded video vanished completely. Well, I guess I just have to upload it again. Thanks to keep us informed. i knew something was up but guessed it was a small technical hitch that wasn't your fault. Nice work guys! 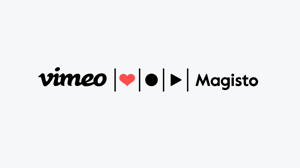 Yeah I was freaking out a bit, but figured hey- Vimeo's providing a great free service, no biggie if it goes down for a bit. Thanks for the info. ;) I uploaded a video and it disappeared, i was freaking out about this wondering why you had erased my video. No problem, i´ll wait some days to upload it again. When will the sacrifice video be posted? We keep trying to film it and then when we go to play it back, the tape is mysteriously blank. I did film the whole ritual in Kenia how Masai do this daily, super impose Dalas into it ?? What about screencast featuring howtos for programming and designing? Will these eventually be banned as well? Not trying to be a rubble-rouser. Just Curious.